News — Bear Bulletin: FREE Easter Egg Scavenger Hunt! When it comes to springtime fun for the whole family, Build-A-Bear Workshop is pulling out all the hops! Put some spring in your step and head to Build-A-Bear to experience the fun of making your own furry friend. The Workshop is full of egg-cellent ways to fill Easter baskets with love and special memories. Weekends in April also feature a FREE in-store Easter egg token scavenger hunt. Plus, kids can take a pic with the bunny mascot PawletteTM on Saturdays at 3:00 p.m. and Sundays at 1:00 p.m.! 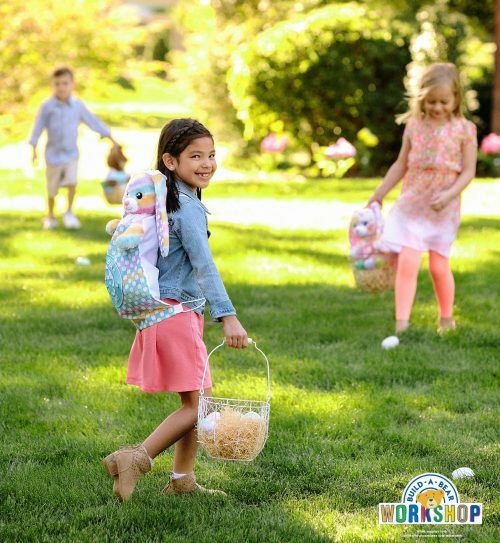 So, hop to it and join the Easter fun at Build-A-Bear Workshop! Looking for a fun and unique way to bring your friends together? Only at Build-A-Bear Workshop can your group experience the fun and creativity of making personalised furry friends! Our Party Leader will entertain and guide your group on a fun-filled adventure where every Guest makes and takes home a furry friend – best party favour ever! Availability fills up quickly, so make your party plans today! 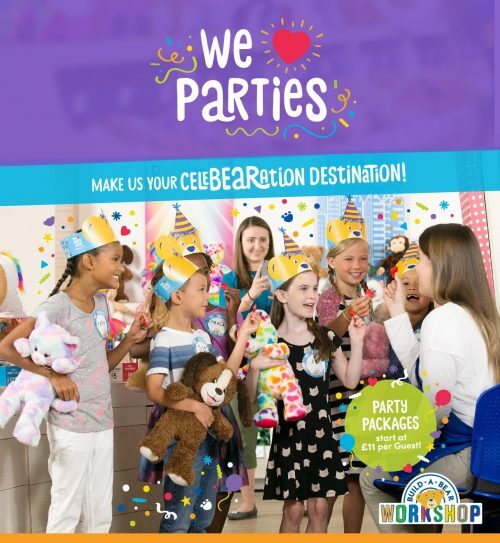 Schedule in stores, call a Party Planner at 0800 542 0635 or visit buildabear.co.uk/party. The newest furry friend at Build-A-Bear Workshop is straight from a fairy tale! 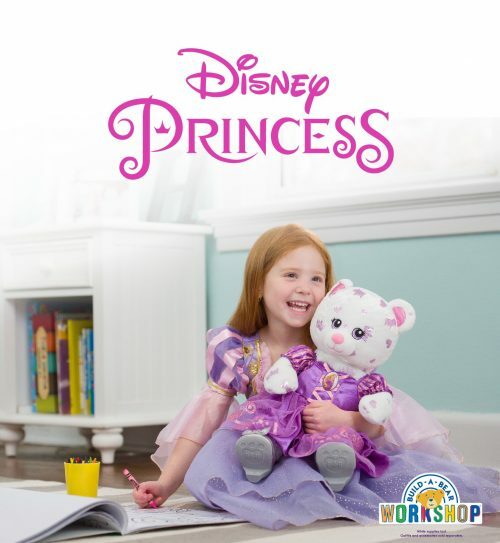 You can chase your dreams and be anyone you want to be with the NEW Disney Princess Inspired Bear. This regal teddy bear has a special crown print on its fur and can be dressed in a variety of costumes to look just like your favourite Disney princess. Make it a princess party and visit Build-A-Bear today!